Ever had the urge to hand a party guest a beer stein, then have them make like Indiana Jones and say "That belongs in a museum!"? 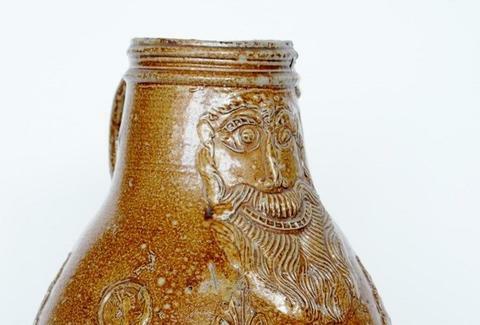 Now's your chance: described by the seller as salvaged from a shipwreck, this Cologne Bellarmine stein dates back to the 1500s, and might be your only opportunity to fill a museum piece with Kölsch and not get arrested. We found this survivor of the deep while we were curating a collection of the raddest (yes, raddest) beer steins on eBay. If you want to see what a $68,000 Norman Rockwell stein looks like, check out our collection right here. While we were at it, we also combed eBay for 10 of the most baller things you can wear in Vegas -- including, seriously, Frank Sinatra’s toupee -- and discovered that you can buy a freaking restaurant on eBay. That calls for a beer.